Thinking about running in costume, but feeling a little nervous? Just because you’re a runner, doesn’t mean you can’t have a little fun, wearing costumes for running. Some of our favorite races are perfect for running in costume. Are you more of a villain than a princess? 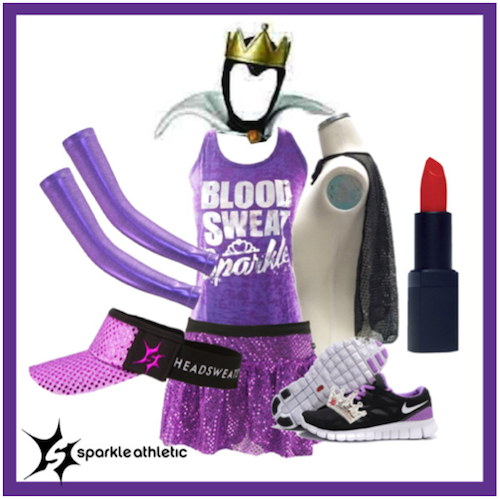 Then maybe dressing up as an Evil Queen is the perfect running costume for you. Assembling the Evil Queen running costume is pretty self-explanatory… just be prepared to sweat a little in that evil queen headpiece. But trust us, the cheers (& occasional light-hearted “boo’s”) will be well worth it. Have fun creating your own costumes for running! For even more costumes for running ideas, check out our entire running costume guide.